One of dozens of animals awaiting adoption at the Animal Care and Control Team shelter. Pennsylvania SPCA staff members are lending a temporary hand to ACCT Philly while its facility undergoes a big renovation project that will cut its animal capacity capabilities in half for the time being. During the renovation phase, which has already started and is expected to last as long as through mid-April, PSPCA staff members will be on-site at ACCT Philly during special hours to pick up some surrendered animals to transfer to its facilities and relieve some of the burden from ACCT Philly while the work is being done. As a no-kill shelter, PSPCA's mission is to refrain from euthanizing animals over a lack of space. 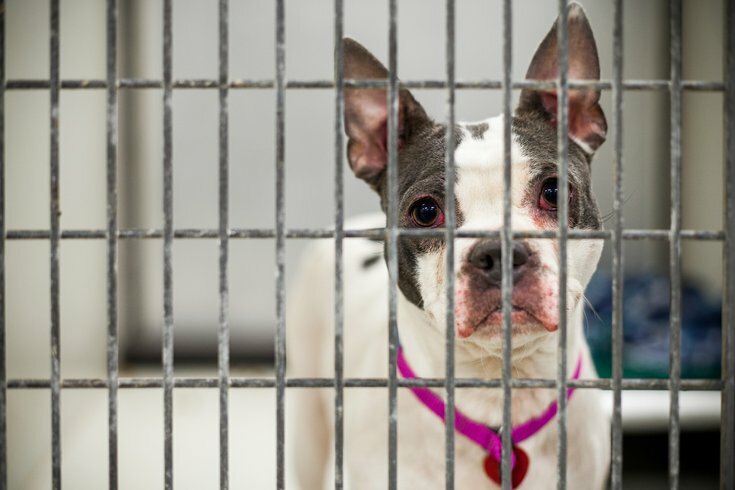 The two groups are asking that anyone who must surrender an animal to the Philadelphia shelter during this time try to do so during the special hours when the PSPCA team member will be there. This will help expedite the intake process and get the surrendered animal transported to the PSPCA, if needed. Special Hours: Mondays from 3 to 6 p.m., Fridays from 11 a.m. to 2 p.m. and Sundays 11 a.m. to 2 p.m. ACCT Philly is located at 111 W. Hunting Park Ave.